Practical and versatile, the Royal Genware Stacking Ramekin Set will become a kitchen essential. 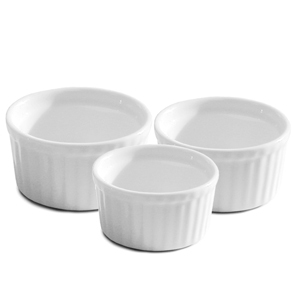 This set includes three different sizes of ramekins, perfect for any type of dish you have planned. These porcelain ramekins are fully vitrified for a durable and oven safe finish and feature a stackable design.